Agricultural automation presents challenges typically encountered in the realm of cyber-physical systems, such as incomplete information (plant health indicators), external disturbances (weather), limited control authority (fertilizers cannot make a plant mature arbitrarily fast), and a combination of discrete events and continuous plant dynamics. 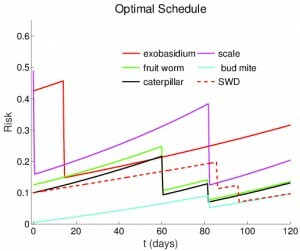 In this project, we focus on the particular problem of optimal pesticide spray scheduling. 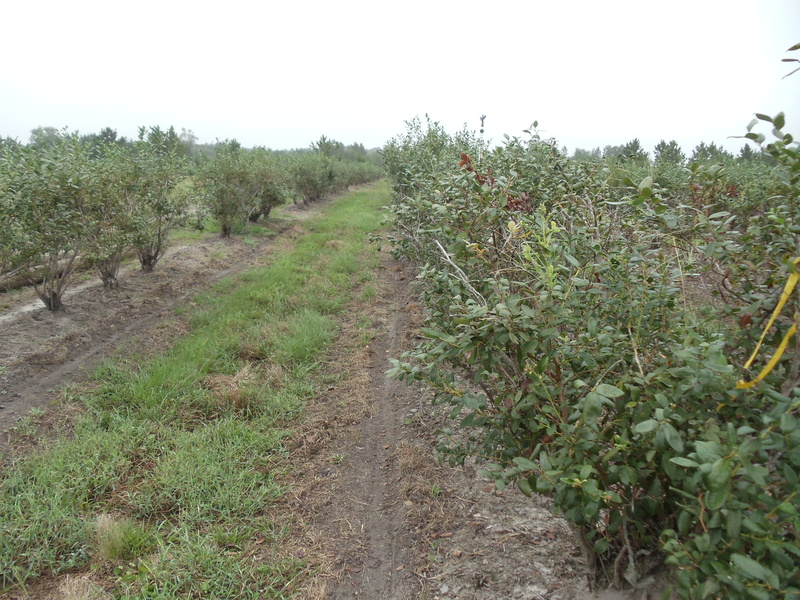 In particular, we look at pesticide application in blueberries, a crop of increasing economic relevance in the state of Georgia. Regulations impose strict requirements on scheduling, e.g., individual pesticides are only effective during certain seasons and pesticides cannot be sprayed too close to harvest time. We have shown how to translate these requirements to a temporal logic formula over the space of possible schedules. We then use the theory of optimal mode scheduling to generate a schedule that minimizes the risk of various infestations over time while guaranteeing the satisfaction of the constraints. Current research includes incorporating expert-derived models of disease propagation and weather forecasting into the scheduling algorithm. 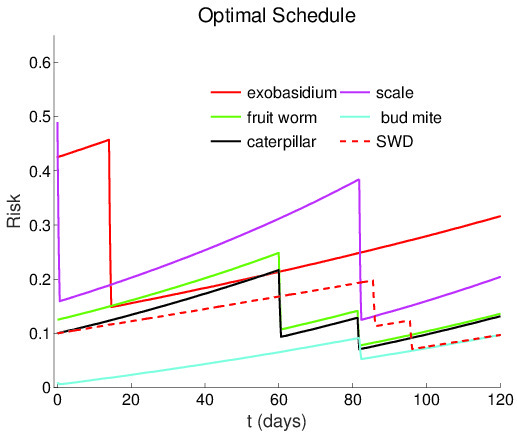 Optimal pesticide application schedule found by our algorithm. 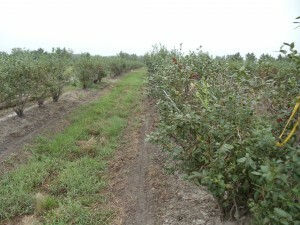 Blueberry planting in Tifton, GA.